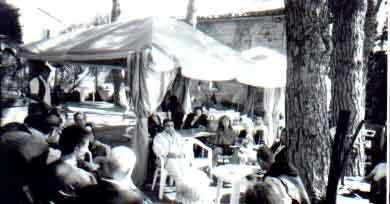 INCONTRO IN GIARDINO CON SIMONETTA DONI, MARIA MICOZZI, VINCENZOREDA, ALDO BORTOLOTTI, GUALTIERO GHEZZI E GUELFO MAGRINI. UN SALOTTO MATTUTINO AFFACCIATO SULLO SPLENDIDO PANORAMA OFFERTO DAL TERRITORIO ILCINESE IN COMPAGNIA DI ARTISTI, GRAFICI, PRODUTTORI ED ESPERTI IN COMUNICAZIONE CHE SI SONO DISTINTI NELL'ACCOPPIARE LE IMMAGINI DELL'ARTE CONTEMPORANEA ALLA SOSTANZA DEI VINI D'ECCELLENZA, DECORANDO BOTTIGLIE E DESCRIVENDO CRUS ATTRAVERSO L'ISPIRAZIONE STESSA CHE TALI VINI E TALI VIGNE INDUCONO. IL COMPLESSO ED ETERNO RAPPORTO DELL'ARTE CON IL VINO È STATO COSÌ DESCRITTO DALLE PAROLE DEGLI STESSI PROTAGONISTI, SPESSO ARTISTI NON SOLO DEI LORO STESSI PRODOTTI VINICOLI MA ANCHE PARTECIPANTI ALLE CORRENTI CULTURALI PIÙ FECONDE DEL MOMENTO. HA INTRODOTTO LA DISCUSSIONE SIMONETTA DONI, AUTRICE DI MOLTE CAMPAGNE D'IMMAGINE PER AZIENDE PRESTIGIOSE, QUALI VILLA BANFI E ANTINORI, CHE HA SOTTOLINEATO L'IMPORTANZA D'INTERPRETARE IL PRODOTTO E CONTESTUALMENTE DEFINIRE IL TARGET SU CUI S'INTENDE ORIENTARLO PER GARANTIRGLI PENETRAZIONE SUL MERCATO, NON TRALASCIANDO DI ESPLORARE PREVENTIVAMENTE LA COSTRUZIONE DI UN'IMMAGINE APPROPRIATA ALLA PERSONALITÀ DELL'AZIENDA PRODUTTRICE. ATTUALE E INTRIGANTE LA CONSIDERAZIONE EMERSA DALLA DISCUSSIONE SUL RUOLO ATTIVO DEL RAPPORTO TRA VINO E MODA, PARALLELAMENTE CELEBRATO A FIRENZE TRA BIG DEL VINO E GRIFFES FAMOSE, E FREQUENTATO NELLE ULTIME TRE EDIZIONI DEL VINITALY DALL'ASSOCIAZIONE NETTARIDIBACCO IN SINERGIA CON LA CASA DI MODE FIORENTINA SASCH, SPONSOR DI MISS ITALIA, NELLA CONSIDERAZIONE CHE ETICHETTE E CAPSULE, NONCHÉ FORME INDUSTRIALI, SONO DELEGATE A "VESTIRE" LA BOTTIGLIA, E TALI "VESTI" APPARTENGONO DUNQUE ALLA SFERA DELLA MODA. INFINE CI SI È INTERROGATI SUL RUOLO DELLA GRAFICA APPLICATA AL VINO: È ANCH'ESSA CONSIDERABILE QUALE FORMA D'ARTE? LA RISPOSTA DI TUTTI I PARTECIPANTI ALLA DISCUSSIONE È STATA : NELLA CONSTATAZIONE CHE STORICAMENTE TUTTE LE OPERE D'ARTE SONO STATE REALIZZATE SU COMMITTENZA, E PER RAGIONI D'IMMAGINE, L'ARTE COME MEDIAZIONE SI ESTENDE ANCHE AL CONCETTO DI GRAFICA PROMOZIONALE, QUANDO SI REALIZZI IL CONIUGARE LE ESIGENZE AZIENDALI AD UN ASPETTO GRAFICO COERENTE E RISPONDENTE ALLE CARATTERISTICHE DEL PRODOTTO ESAMINATO. GUELFO MAGRINI, GIORNALISTA IMPEGNATO NELL'INTERPRETAZIONE DELL'IMMAGINE CULTURALE NEL MARKETING STRATEGICO INTERNAZIONALE DEL PRODOTTO VINO, HA SOTTOLINEATO L'IMPORTANZA DELLE SINERGIE TRA VINO E ARTE NEL CONSOLIDARE IL RUOLO SOCIOECONOMICO DEL VINO NELL'IMMAGINARIO COLLETTIVO. 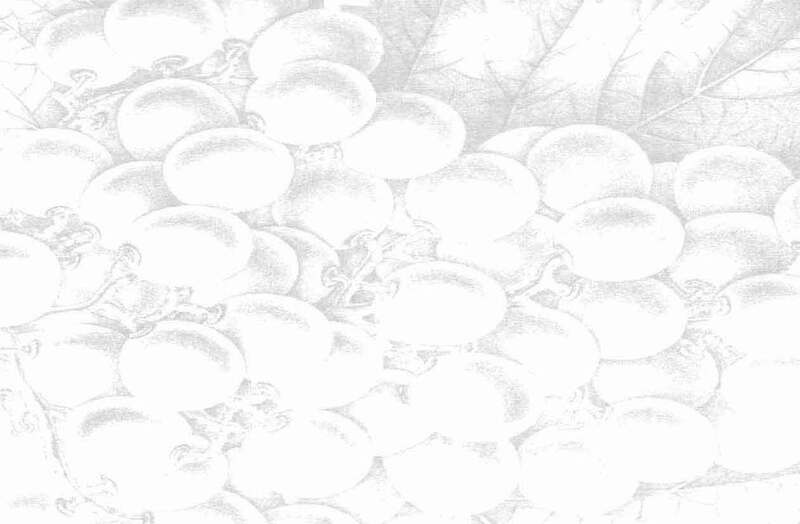 IL VINO DUNQUE COME FONTE D'ISPIRAZIONE ARTISTICA NEI SECOLI; L'ARTE DUNQUE COME VEICOLO DI TRADUZIONE FORMALE DELLA SOSTANZA DEI VINI DI QUALITÀ.